Posted in: *Silver Alert*, Media Release, Missing, Update. Tagged: Quinn. Posted in: *Silver Alert*, Media Release, Missing. Tagged: Quinn. 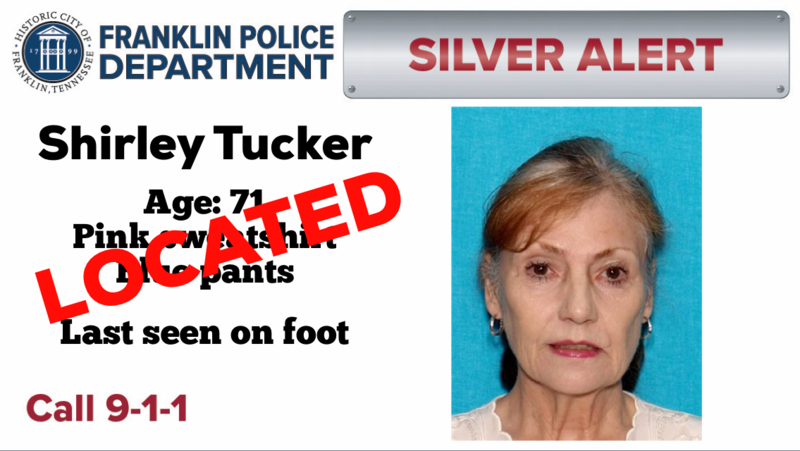 Franklin Police have issued a *SILVER ALERT* for 71-year-old Shirley Tucker. Tucker is missing from Grace Healthcare, 1287 W. Main Street. She suffers from dementia and was last seen at about midnight. 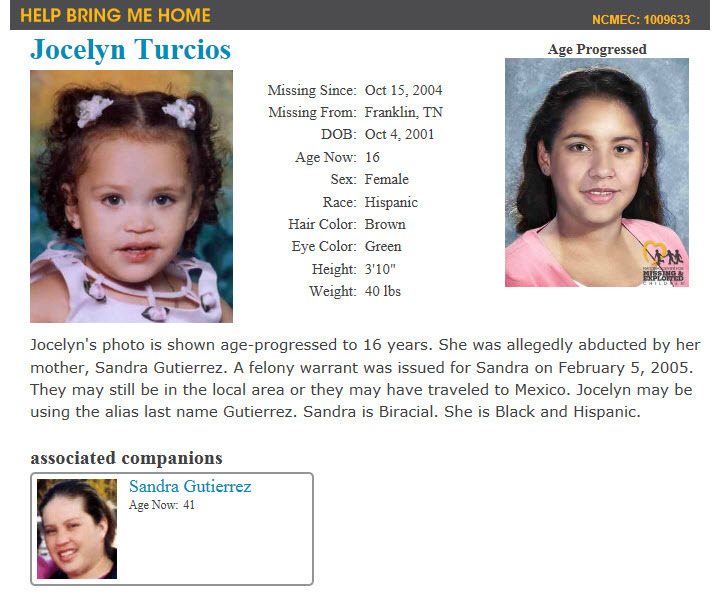 She is believed to have left on foot wearing a pink sweatshirt and blue pants. 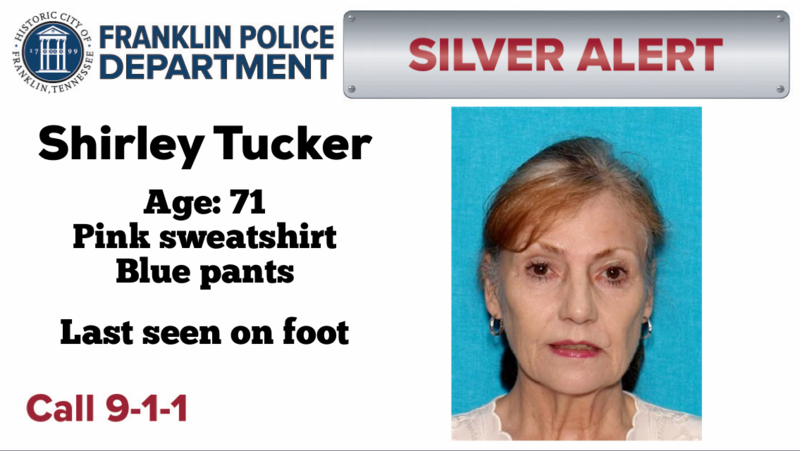 If you see Ms. Tucker or have information on her whereabouts, call 9-1-1. Posted in: *Silver Alert*, Media Release, Missing. Update: Joseph Eads has been found. Silver Alert Canceled. 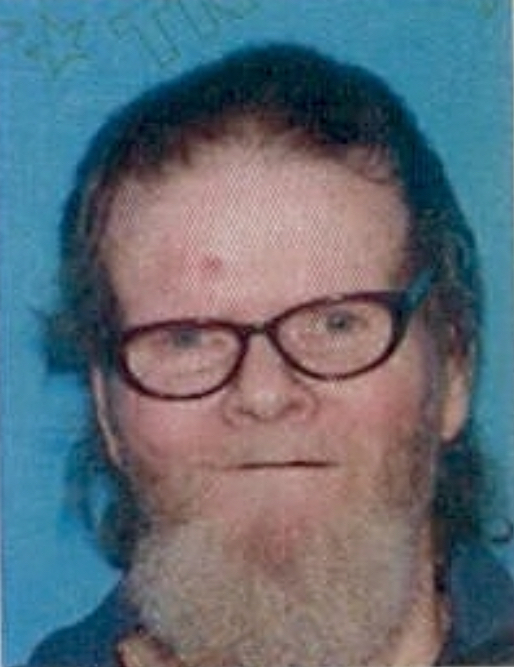 Franklin Police have issued a *SILVER ALERT* for 63-year-old Joseph Eads. He has been missing since about 5pm Thursday night, and was last seen on foot near Murfreesboro Rd. and Carothers Pkwy. Mr. Eads, who has dementia, was last seen wearing a gray t-shirt and blue jeans, and walks with a cane. If you see Eads, call 9-1-1. Posted in: Crime Stoppers, Media Release, Missing, Reward, WANTED. Tagged: Valentin. Franklin Police are seeking information on the whereabouts of a woman and three children. Late last night, the children’s grandmother reported that 25-year-old Jovelie Nelson, of Ohio, took a 2-year-old child from the grandmother’s Natchez Street residence. Nelson then went to an elementary school parking lot in Franklin where she took a 6 and 7-year-old from the grandmother, 7:30 Friday morning. The kids are Nelson’s biological children, but an Ohio judge had removed them from her custody. 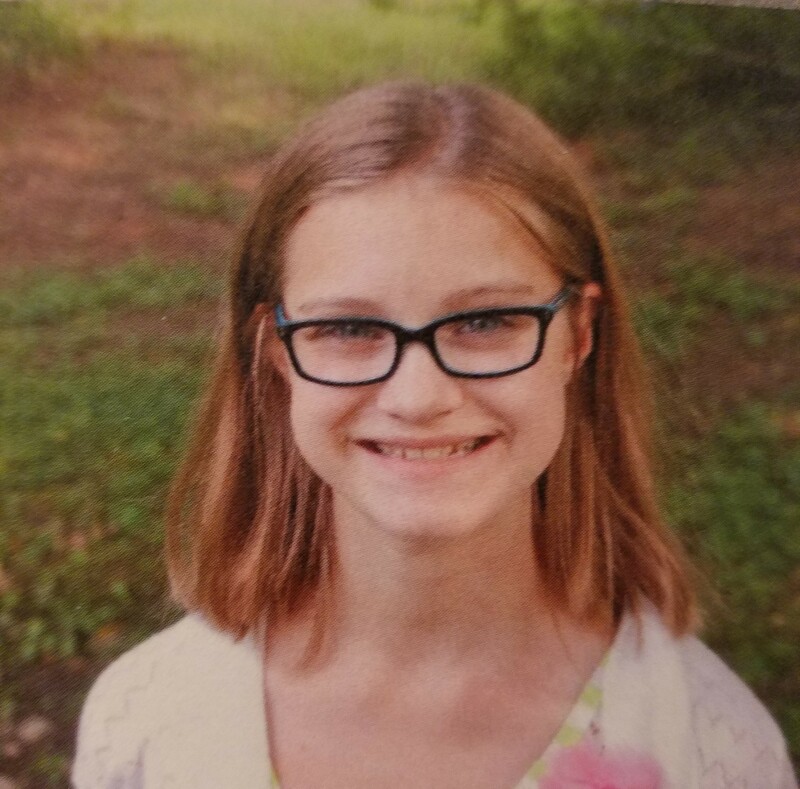 Nelson and the three children were last seen in a blue 4-door vehicle that was being driven by an unknown person at 7:30 Friday morning, in Franklin. It is unknown if the children are in any danger, but family and police concern has increased as the whereabouts of Nelson and her three children remain unknown. Nelson has ties to Franklin, Nashville, and Lima, Ohio. 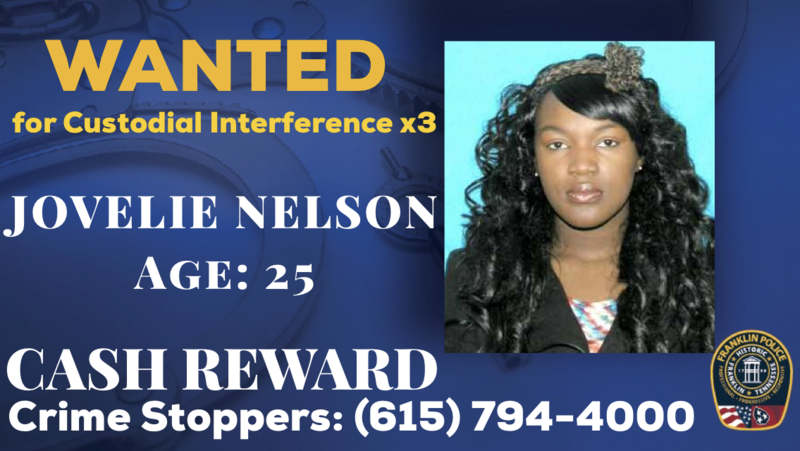 She is currently wanted for three felony counts of Custodial Interference. A Crime Stoppers reward of up to $1,000 is being offered for anyone who has information on their whereabouts.